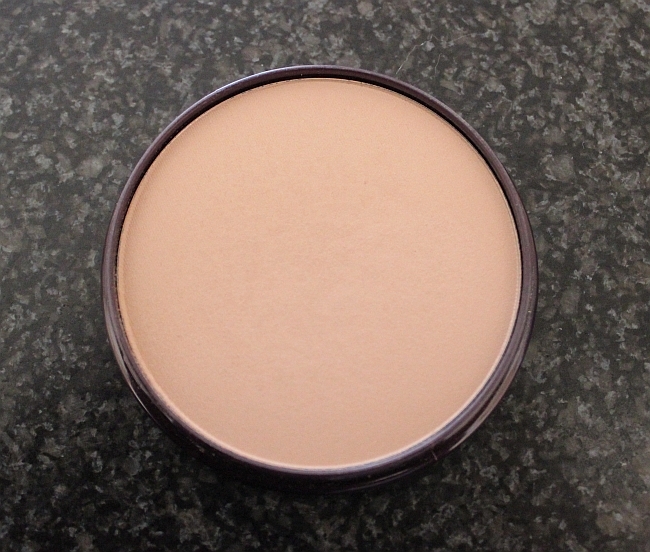 Rimmel Stay Matte Pressed Powder in Creamy Beige Review! I ran of my Catrice setting powder and although I liked it, I noticed that after few hours it was making my t-zone really oily. 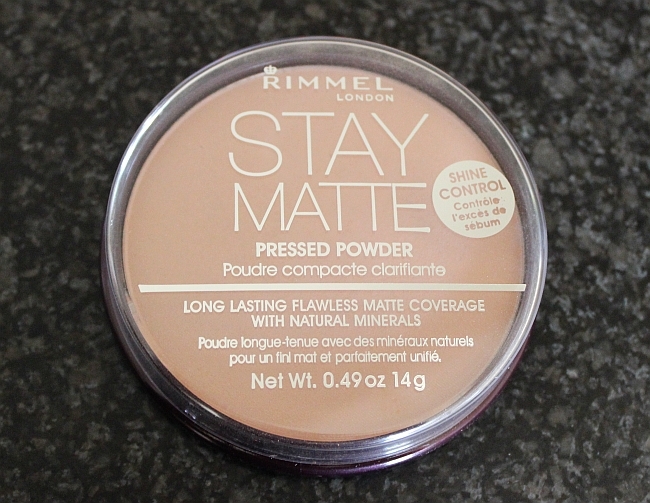 Rimmel Stay Matte Pressed Powder claimed to help minimize appearance of pores and guaranteed long lasting shine control. 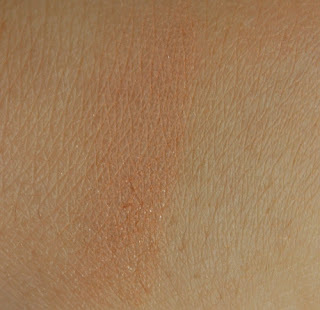 For around $5 that sounded like a deal for me and I got it in shade 018 Creamy Beige. Previously, I've had a great experience with Rimmel Natural Bronzer (love it!) 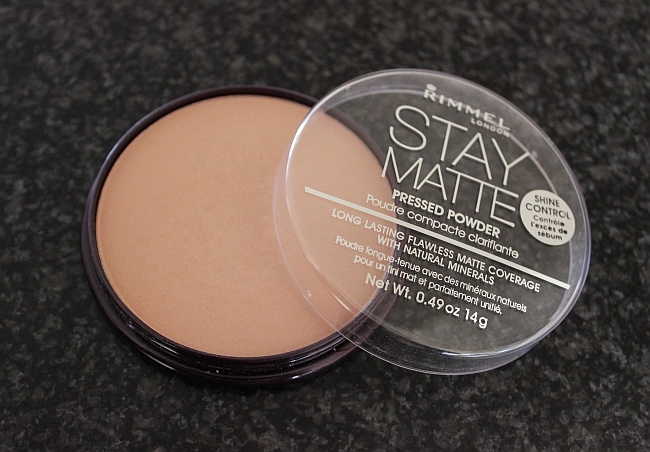 but I've never used any of Rimmel face powders and after trying Stay Matte I am really impressed! Let's start from the beginning. 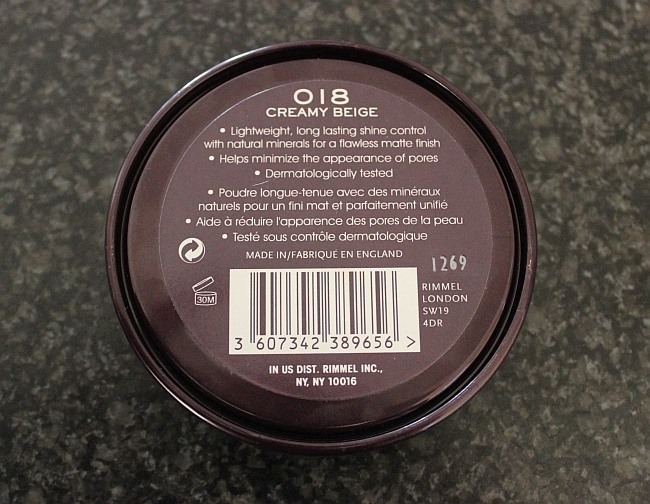 This powder feels so light on the skin and it really does minimize the appearance of pores! I used it on top of Revlon PhotoReady foundation and my face looked flawless, I loved it. Also Stay Matte kept my face matte almost all day, with other drugstore setting powders that rarely happened. The pretty interesting thing about this matte powder is that it has tiny sparks in it. 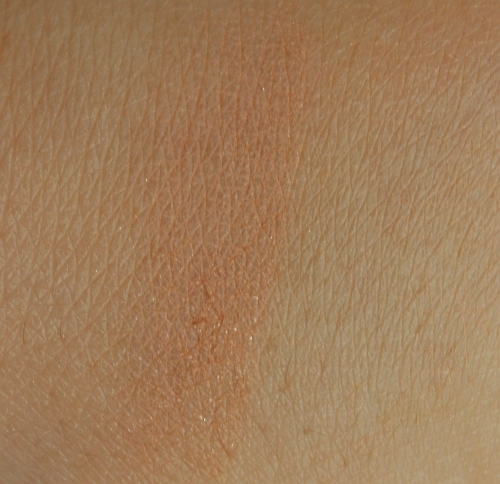 I actually realized that after swatching it on my hand, because either in the packaging or on my face it is not visible. I actually like that because it doesn't make my face look flat, which happens often when using only matte products, but it gives it some dimension & healthy glow. Overall, Stay Matte does the job and I think it deserves a big A for its lightweight formula as well as the ability to minimize the appearance of pores. With my combination skin, this product was all I was looking for in a good matte setting powder.